Everything Would Be Magical And Extraordinary. I have always loved to watch babies and toddlers as they explore their world. The excitement and wonder they show when discovering the simplest of things is a delight to see and experience with them. As Akiane states: 'Everything is magical and extraordinary,' but why does this sense of wonder disappear for the majority of children as they grow? I used to think that this joy that they have was just about finding 'new' things, and that once the new-found object or experience was viewed a few times, it would not have the same intensity of feeling, ever again. 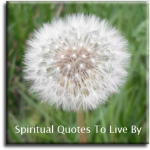 But this belief was proved wrong to me when I began to learn more about the Law of Attraction. Following the teachings of Abraham-Hicks I have been able to re-awaken the experience in myself, so that I can now get great delight from appreciating the simplest of things, especially in nature. 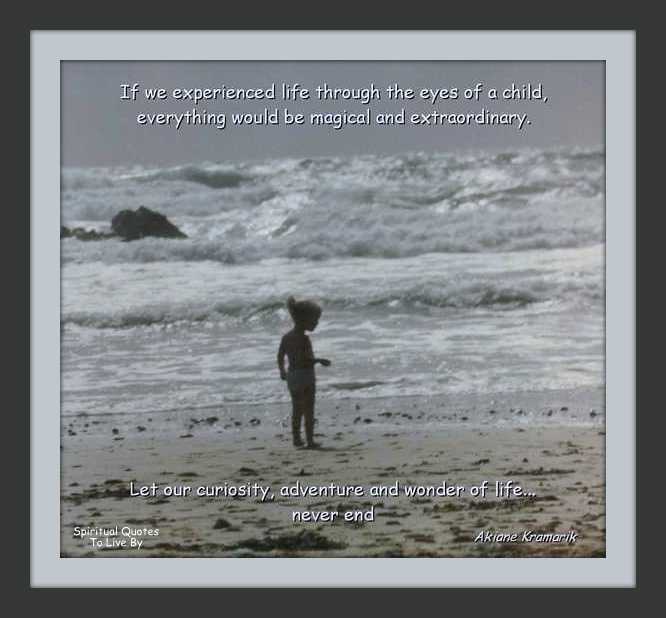 The question of why children loose their wonder and curiosity has been quite relevant to me recently as over the past few weeks I have been writing a report on home education. It started off as something that had to be done, but turned out to be something that I thoroughly enjoyed doing and it rekindled my passion for the freedom of choice to home educate. It took me a lot longer than I first anticipated as I began to do some research on the many reasons that I took my children out of school in the 90's and why I now help them to home educate their children. As the years have passed the negative aspects of state schooling have exponentially escalated while the ease of home education has increased dramatically with the use of the internet. Young children are very creative and love to use their imaginations but as they progress through school their creativity is quashed as they are taught to focus on academic subjects. Although some time is given to the creative arts, it is instilled into children that these are not as important. This is an old fashioned approach and is beginning to have a limited relevance in today’s world. Years ago, anyone working their way through education and gaining a degree was guaranteed a job at the end of it, but this is no longer true. There are many proponents supporting the need of creativity and imagination to be central to children’s education, from Albert Einstein to Sir Ken Robinson they teach us that imagination is more important than knowledge because it is the source of all human achievement. If we experienced life through the eyes of a child we would appreciate more of the beauty that surrounds us everywhere we go. We would notice the simple little things that are incredible miracles to behold. We would feast our senses on the delightful experiences that encompass our world. If we experienced life through the eyes of a child we would live in the NOW, we'd make the most of each moment, enjoying ourselves and not fretting about the past or worrying about the future. I do my best (by example) to encourage my grandchildren to appreciate the simple things in life, to enjoy themselves, use their imagination, creativity and intuition to follow their passions and to always think positively. I hope their 'curiosity, adventure and wonder of life will never end! Akiane Kramarik is a beautiful young lady with an absolutely incredible artistic talent. Born into an atheistic family she had a spiritual experience at the age of four and began drawing. She started painting aged six and write poems at seven. Self-taught and home schooled, 'the inspiration for her art and literature comes from her visions, dreams, observations of people, nature and God.' If you have not seen her work please do take a look at her website you will be astonished at the extraordinarily beautiful paintings that she created from such a young age.